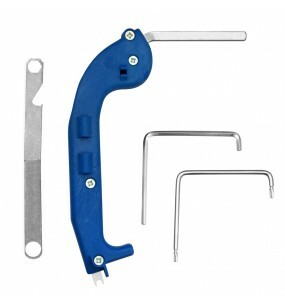 MACO 7-in-1 Multi Tool Blue Handle. 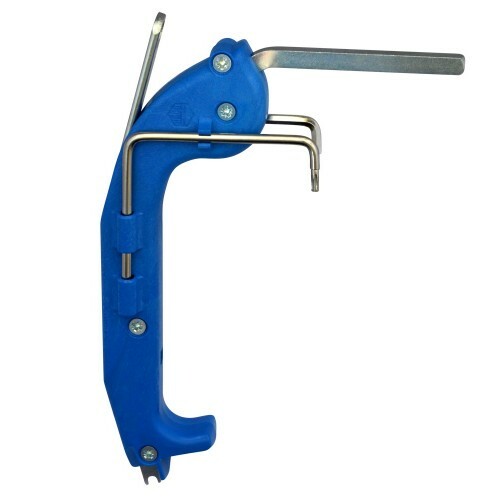 Blue handle multi tool by Maco with no less than 7 different tools which are all fitted in the same handy handle. 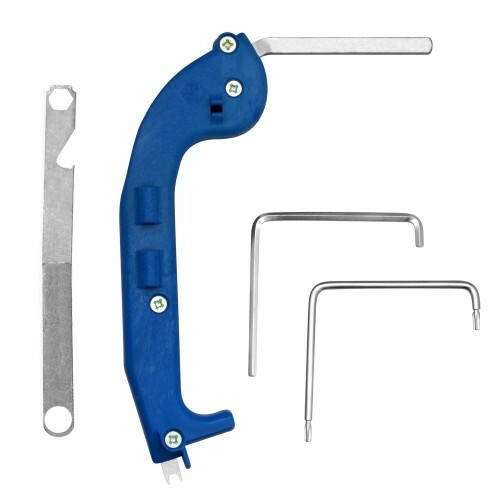 This 7-in-1 multi tool contains a 9mm nut head spanner, oval cam head spanner, 4mm allen key, built in handle spindle, bottle opener, hook end catch and a T15 Torx head star key spanner.